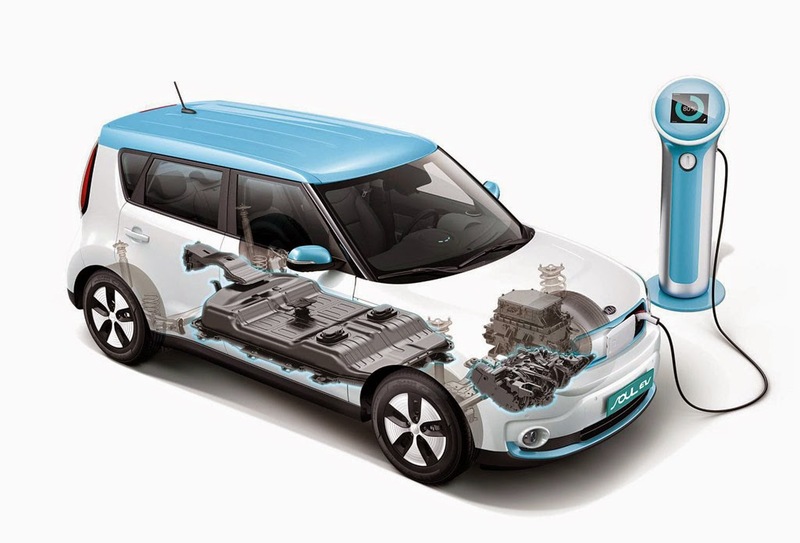 Kia have released another promo video for the Soul EV. The Soul EV is propelled by a liquid-cooled AC synchronous permanent magnet electric motor rated for 109 horsepower and 210 lb-ft of torque. Like most electrics, the motor sends power to the front wheels via a single-speed constant-ratio transmission. The Soul EV can be charged to 80% in as little as 33 minutes using a 50-kW system, and the Soul EV is fitted with three charging ports. Two of the ports are for conventional AC charging, per SAE standard J1772, and the third for CHAdeMo public stations. Deliveries began in South Korea in May 2014 with EU and US to follow in the second half of the year. With 200 km range and a price in the $30k range it looks like a solid addition to the EV market.